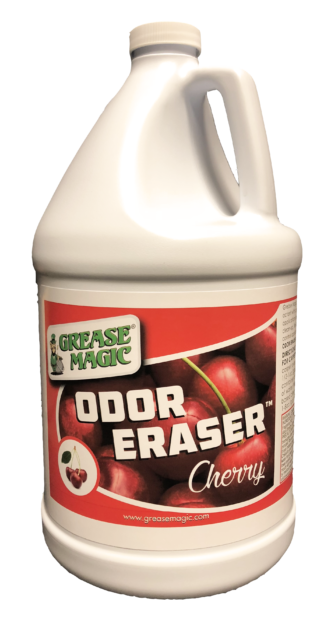 Grease Magic OSR is a powerful, ready to use organic stain remover that uses the oxygenated power of peroxide to break down and remove organic stains from surfaces on contact! OSR is super versatile and can be used on carpet, textiles, ceramic tile, fiberglass, building materials, and more! Even use in bathrooms to quickly clean and remove mildew! Grease Magic OSR is a powerful organic stain remover that uses the oxygenated power of peroxide to break down and remove organic stains from surfaces on contact! OSR is super versatile and can be used on carpet, textiles, ceramic tile, fiberglass, building materials, and more! Even use in laundry to remove protein-based stains! This “spray and walk away” stain remover is extremely powerful and for professional use only. Most peroxide-based cleaners contain a neutral pH—but Grease Magic OSR has a patented acidic formula which allows the peroxide to react faster and remove stains almost instantly! Does this sound too good to be true? 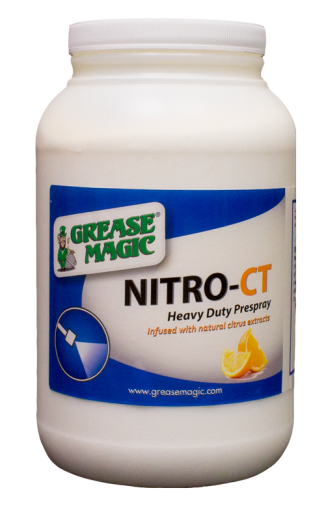 We offer a 100% satisfaction money back guarantee on Grease Magic OSR—that is how confident we are in our product! pH: 3. Wear gloves. Always Pre-test. PLEASE NOTE: due to the nature of this product, it will degrade sprayer seals over time more quickly than many carpet cleaning chemicals. We recommend using an inexpensive sprayer dedicated to this product only. To prolong sprayer life, rinse sprayer with baking soda and water after each use to neutralize any residue. Don gloves and proper PPE. Pre-test in an inconspicuous area. Apply Grease Magic OSR to stained area with sprayer of choice (trigger, pump up, or airless). Allow to dwell for 10 minutes to 8 hours. Note: the longer this oxygenated product is left on the stained surface, the more powerful the stain removal will be. If applied to carpet, extract product out with fresh water or use towel to remove excess material. Product may be left on carpet if applied lightly, but it is always best to remove the source of staining and odors. Apply Grease Magic OSR to stained area/mold/mildew with trigger or pump up sprayer. Product will begin to foam wherever it contacts organic matter. Rinse area that was sprayed. Re-apply Grease Magic OSR to stained area and watch for foaming to occur. Continue to spray and rinse until foaming no longer occurs. Once foaming stops, all organic material has been broken down. Apply Grease Magic OSR to stained building materials with trigger or pump up sprayer. Rinse area that was sprayed or HEPA vacuum to remove excess foam. Continue to spray and rinse/vacuum until foaming no longer occurs. Once foaming stops, all organic material has been broken down. Please note that OSR does not replace any remediation step in the IICRC S-520 for mold remediation. If OSR gets on skin, rinse and neutralize with water and baking soda. Remove organic stains from carpet and textiles such as blood, vomit, urine, coffee, cola, tea, red wine, fruit juice, and more. This means that Grease Magic OSR can replace many products on your truck! 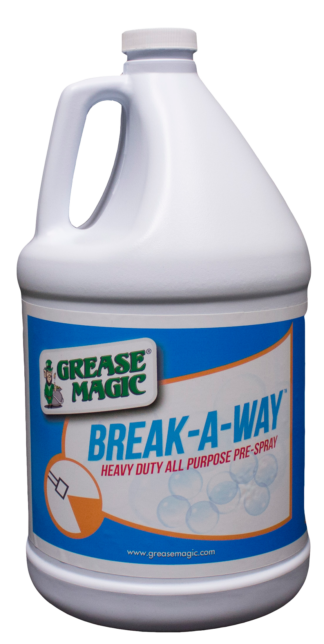 Grease Magic OSR takes the place of a blood remover, a protein spotter, a coffee stain remover, and an enzyme digester—all in one product! Remove organic stains from ceramic tile and building materials such as mold and mildew. © 2019. All rights reserved. Grease Magic is a division of NuTech Cleaning Systems.